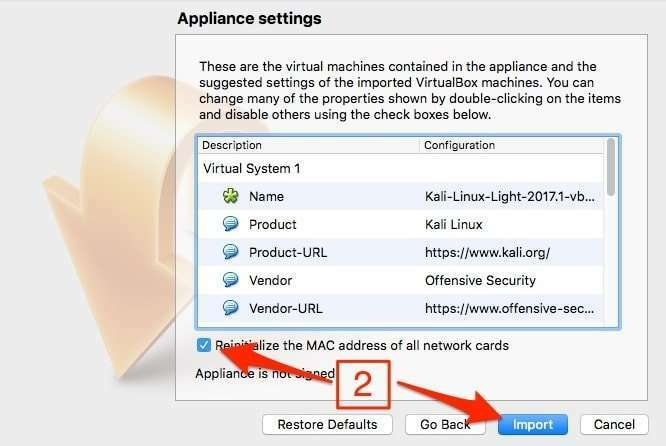 Today you'll learn step by step how to install Kali Linux on VirtualBox in Mac OSX using a Virtualbox image of Kali. While this tutorial is done using a Mac, the process for PC (windows) users should be similar. Bootable USB: Install on a USB drive/stick. I'll be showing you how to install it on a virtual machine, more specifically, on Virtualbox. VirtualBox is a free, open-source software for running virtual machines (VM). With VirtualBox, you can run multiple operating systems of different kinds such as Windows, Mac OSX, Solaris or Linux. Virtual machines allow you to experiment with different operating systems and programs. Virtual machines are also used for creating and experimenting with different forms of malware. This is because nothing can travel outside a VM unless you allow it in the configuration settings. Avoid downloading and opening random files from the internet. If you really have to, open the file inside a VM as this will prevent an infection from spreading in case the file contains a virus. In addition, VMs allow you to take snapshots (or restore points) and roll back whenever disaster strikes or if something breaks. You can run multiple operating systems on top of your current system. It's easy to create snapshots, and even easier to roll back. You can assign how much resources your VM will use. You have the ability to export an existing VM and import it to another computer. Since VMs have limited resources, performance is heavily impacted. Installing an OS can sometimes be problematic for inexperienced users. Wireless USB adapters sometimes aren't recognized or doesn't work. Other paid alternatives to VirtualBox include: VMware and Parallels. Most of the tutorials I've seen online show you how to install Kali (using an .ISO). This method might be complicated for beginners, but it is preferred if you want to install Kali Linux from scratch. If you're just interested in using a few tools every now and then, installing Kali from a Virtualbox image (.ova) is much easier. Plus, there's not much configuration required from your end using this method. You simply start the VM and you're good to go! The first step is to download and install VirtualBox. Go to the download page on the VirtualBox website. Download "OS X hosts" (for Mac users), AND the extension pack, which will add additional functionality. Next, we need to download a VirtualBox image of Kali Linux. Go to the download page, then select "Kali Linux VirtualBox Images"
Select the very top image "Kali Linux 64 bit VBox"
What is Kali Linux light? The "Light" version of Kali consists only of the top 10 tools pre-installed (and not the full set which consists of hundreds of tools). The light version is ideal if you only need a specific subset of tools (i.e. wireless). You can still choose to install any tool, subset or the full set at any time. 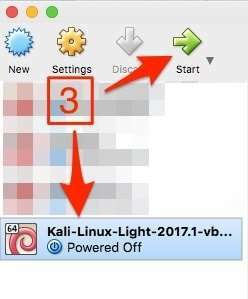 I personally always go with Kali Light because, from my experience, the VM tends to crash more often (or slow down) if I have too many tools installed. Plus, why bother installing tools I won't even need? To learn more on how to install a specific set of tools, keep on reading. 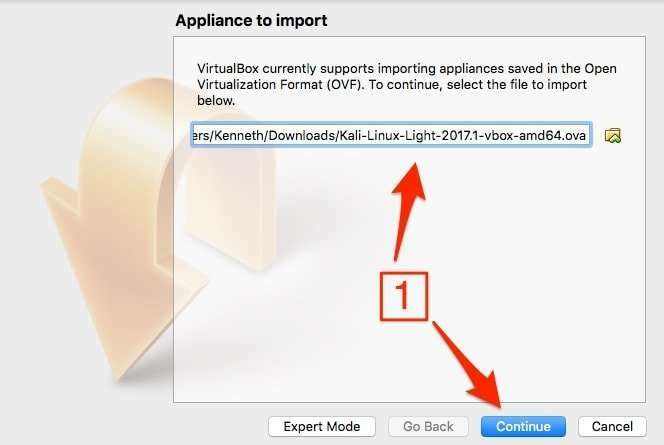 Once you have VirtualBox installed and the Kali image ready, now we need to import the image on VirtualBox. 3. Now start the virtual machine by clicking green button. If you installed Kali Linux "Light", the following steps will show you how to install a specific subset (of tools you need). Metapackages are subsets, and within a subset is a set of tools designed to accomplish a specific task (i.e. password cracking). Replace package-name with one of available Kali meta packages. VirtualBox has a command-line utility called VboxManage, which lets you control your virtual machine from the command-line of your Mac. With VboxManage, you can do things like start, stop, restart and power off a virtual machine. 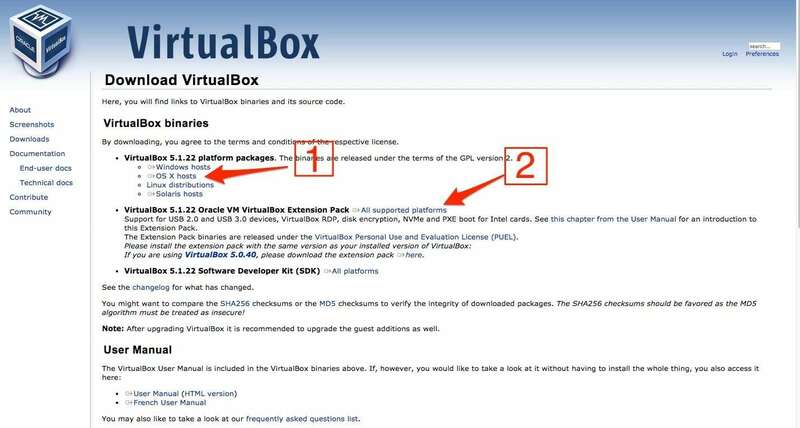 To start using VboxManage, you need to make sure you have virtualbox extension pack installed. First, start the Terminal application on your Mac. You should then see a list of available commands you can use. I won't go through each one, just the basics. 3. How to start a virtual machine Use the command from step 1 to find the name of your VM. vboxmanage startvm "name of vm"
I have been struggling to get the internet working on the kali box. I am on Mac OSX with wi-fi connectivity.